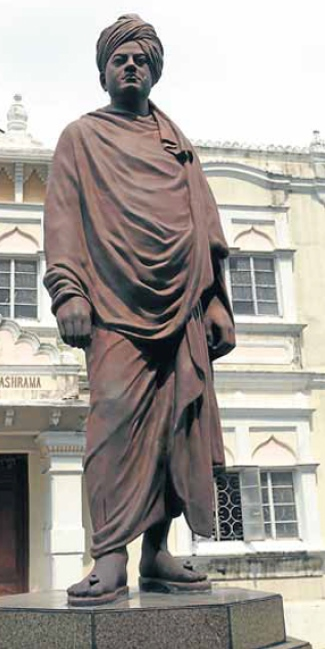 Install Swami Vivekananda’s statue, Rajasthan govt tells colleges. Sunetra Mahajan | HENB | Jaipur | Oct 30, 2017:: Vasundhara Raje Govt in Rajasthan has directed the colleges in the state to install a statue of Vivekananda if they do not have the image of an ‘inspirational personality’ on campus, in an attempt to make each student ‘patriotic’. A recent circular by the commissionerate of college education states that as per government instructions, each college in the state should have the image of a ‘great or inspirational personality’ displayed on campus so as to ‘inspire the students to live with integrity’. The notice further reads that if the image of a ‘great figure’ is not there on campus, then colleges should begin the process of installing a statue of ‘Swami Vivekananda Ji’. The move, however, has received criticism from anti BJP academics such as Rajiv Gupta, who said that the government was turning educational institutes into places where personality cults were worshipped. The anti BJP and anti-Hindu groups sponsored by Congress are considering the Govt move as saffronisation of Educational sphere considering Swami Vivekananda as an icon of Hindu philosophy. “There is no place for personality worship or even worship of ideas in academics. We critically examine everything. Worship of personalities leads to creation of identities, and consequently clashes, which goes in favour of these rightist forces,” the retired University of Rajasthan professor said. In the past too, the state government has been accused of saffronising education. In February, BJP MLA Mohanlal Gupta had demanded that Vivekananda’s writings on cultural nationalism be included in the list of recommended books for history students of Rajasthan University. Last year, Rajasthan governor Kalyan Singh had also told vice chancellors of state universities to install a statue of Vivekananda in their institute’s campuses. 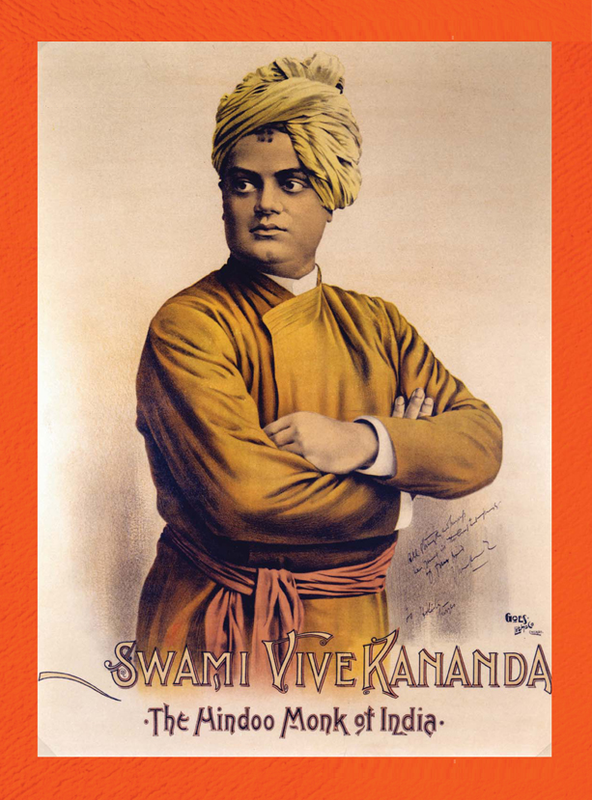 Swami Vivekananda addressed the Parliament of the World’s Religions in Chicago in 1893 and preached the message of Hindutva. He was emerged then as ‘The Cyclonic Hindu Monk of India’ in the global spectrum. Anti BJP academics should know that Swamy Vivekananda taught about morals that are applicable to all the people in the world irrespective of religion and language.His Chicago speech is still famous even to day.. These acadamics appear to have no proper understanding about his teachings. This entry was posted on October 30, 2017 by hinduexistence in Hindu Advocacy, Hindu Awareness, Hindu Honour, Hindu Inspiration, Hindu Knowledge, Hindu Leadership, Hindu Roots, Hindu Saint, Hindu Wisdom and tagged Install Swami Vivekananda's statue, Parliament of the World's Religions in Chicago, Rajasthan Govt diretcs colleges to install Swami Vivekananda statue, Swami Vivekananda, Swami Vivekananda statue to inspire college students.